BILT is a large paper manufacturing company that wanted a fresh approach for their annual report. As a designer, I conceptualized and designed this report giving it a fan /concertina section where all the different pages were used for the contents. It is a fun and creative approach where the annual report also has a strong marketing element to it. 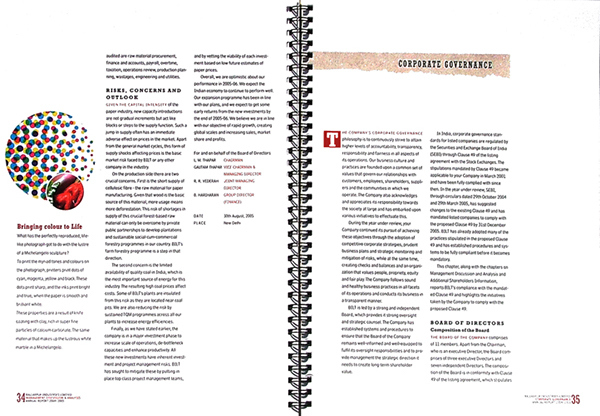 One the pages from the non financial section showing the treatment of text and page layout. BILT Annual Report 2005-06 was an exciting project where the company wanted to showcase it's most successful papers in a new and fresh way. 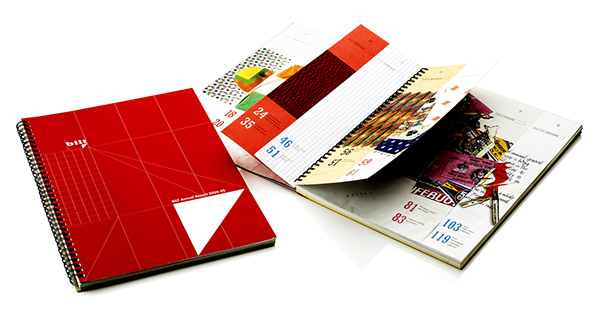 Thus came the idea of incorporating all their successful paper varieties in the contents section as a fan. 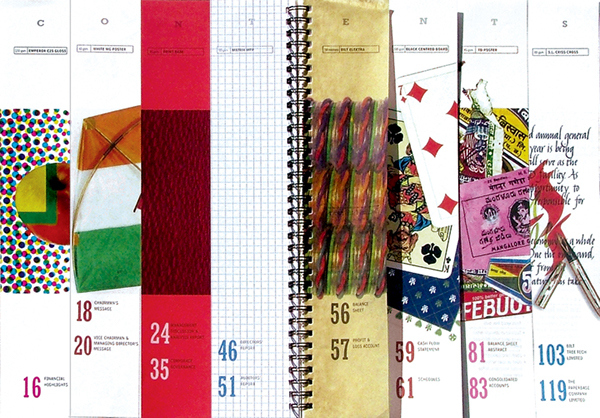 The grid for the pages inside has a strong design element to it complementing the contents section.